A series of storms this winter convinced Rick Anderson, who owns R.W. 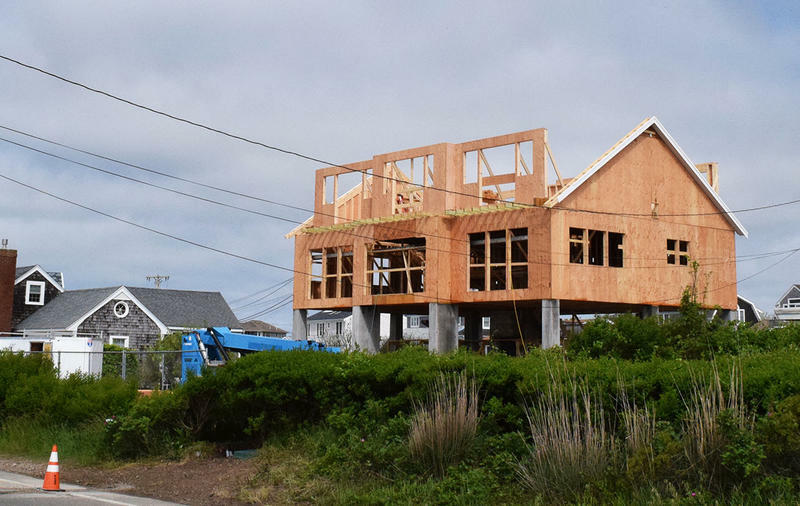 Anderson & Sons, Inc. Builders in Sandwich, that something has to change. R.W. 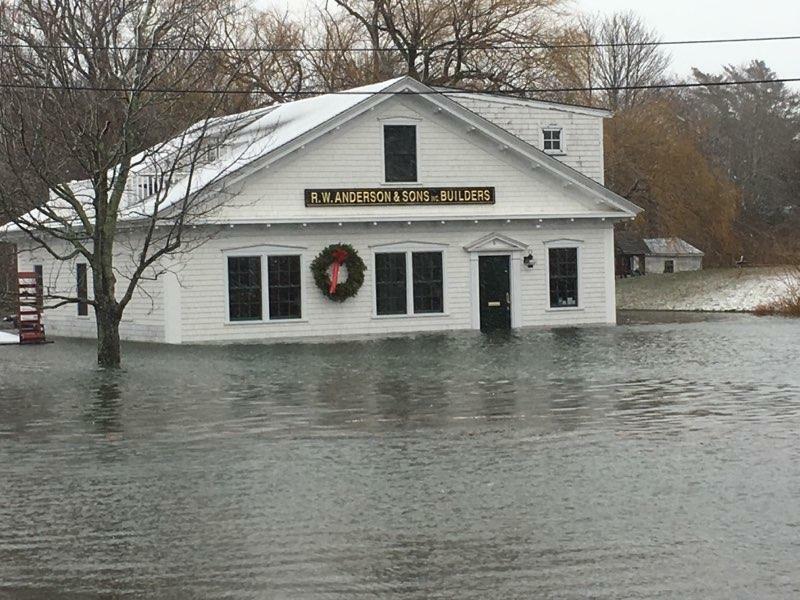 Anderson and Sons offices in downtown Sandwich flooded during a storm in March 2018. His office is relatively close to the marsh, and during a couple of the storms this year, it flooded. At one point, Anderson had eight inches of water throughout the entire first floor. Outside, he says, it was even deeper – it looked to be about four or five feet deep in the street out front. But it’s not clear to him yet exactly what that something is. Invest in sandbags? Build a wall? Raise the building? The Sandwich Fire Department has already started making changes. The main station is just around the corner from R.W. Anderson, on 6A, and it flooded this winter, too. And not just once or twice, but four times. “Prior to this winter I’ve only seen that happen twice in 23 years,” says Acting Fire Chief John Burke. In addition to the flooding at the station itself, Burke says the department also had to rescue people from floodwaters. The fire department didn’t have a truck with enough clearance to reach the car, so they improvised – by commandeering a DPW plow truck. That was just one of six cars got stuck that afternoon. Burke says that made the fire department realize a couple of things: they needed a high water truck, which they now have, for the first time ever. And they needed to start doing a new kind of training exercise, for swift-water rescues. Paul Tilton, director of the Sandwich DPW, says the town has already started upgrading some of its drainage systems to better manage storm water. Over at the Department of Public Works, the director, Paul Tilton, says he’s thinking about changing the way they operate, too. He’s the one everyone calls when roads are flooded or trees are down, whenever something needs fixing. And this past winter, a lot needed fixing. Certain roads in Sandwich have always been prone to flooding – the ones that one right along the coast, or straight through the marsh. Roads like Dewey Ave.
Those roads are all on a list in his office. But that list is growing. There was just so much water this year – from high tides and storm surge and heavy rain – that the culverts and drainage systems could not keep up. And the roads took a beating. All up and down the East Coast, the same scene is playing out in low-lying coastal areas. 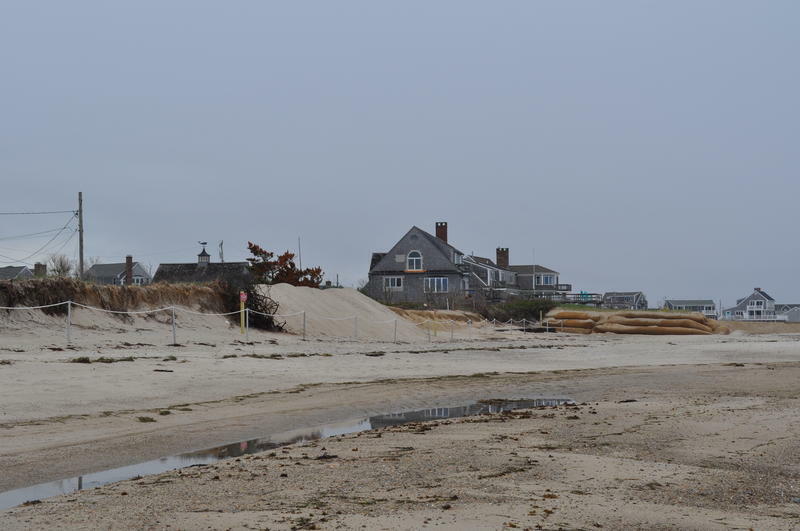 “Citizens are calling up the DPWs or the public works managers and saying hey what’s happening, you guys have got to do something about this,” says Jennifer Jacobs, a professor of civil and environmental engineering at the University of New Hampshire. She researches tidal nuisance flooding, and she says it’s getting measurably worse. 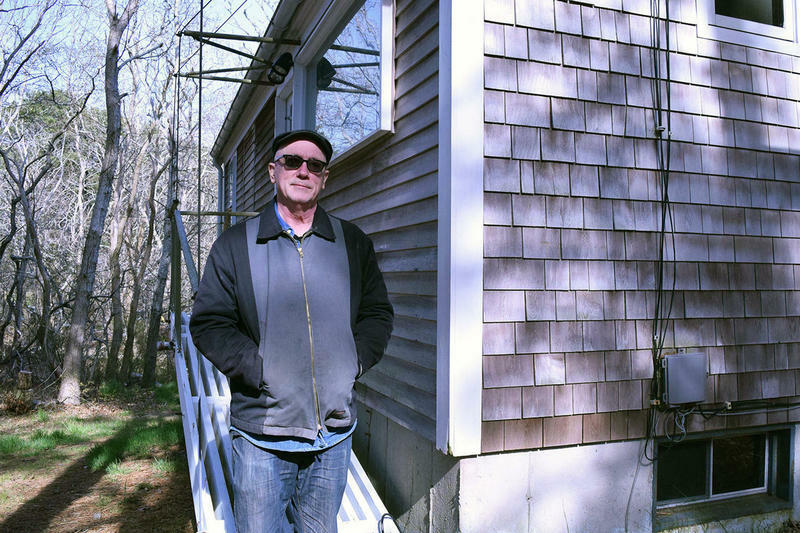 In Massachusetts, about 240 miles of roads are at risk, and many of those are on the Cape. As the one in charge of maintaining Sandwich’s roads, Paul Tilton is actively trying to figure out how to prepare. “One thing that we’re doing, that a lot of towns are doing, is looking at resilient engineering or design,” he says. That could mean raising roads anywhere between a foot and five feet, using different materials, building barriers, and significantly increasing the capacity for storm water drainage. But all of that is expensive, Tilton says. And they also have to think about things like, if they raise a road, what about all the driveways that connect to that road? But Jennifer Jacobs, at UNH, says there is some good news. And Paul Tilton says that’s exactly what Sandwich is trying to do. Samantha Fields is a reporting fellow with the GroundTruth project, stationed at WCAI.